Hey there, for a while I've lurked watching progress on Fate of the Galaxy. I'm a huge fan of Freespace 2 and as a modeller I'm a huge fan of the ships from Star Wars, so naturally these two interests have led me here. I just wanted to show a preview of a very early model of the Alpha-class Star Wing from the X-Wing games I'm working on, which I noticed is on the list of unfinished ships that need work on. My version of the model is on the left. The right is a model taken from Thrawn's Revenge for Empire at War, which I will be using as a reference for my work. 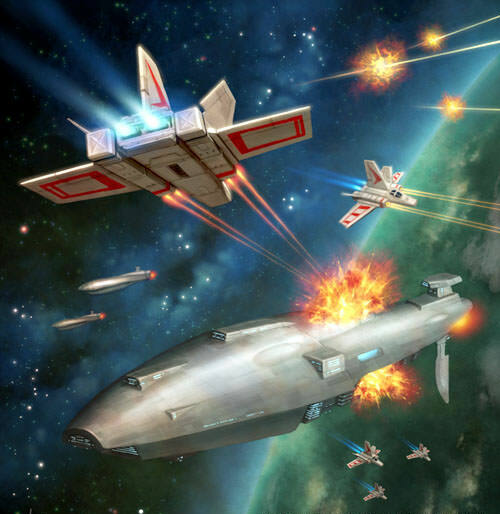 I will also be adapting the appearance of the Star Wing in Fantasy Flight Game's X-Wing, given that I personally prefer the appearance there as the original is a bit too colorful for what I think Imperial ships look like. 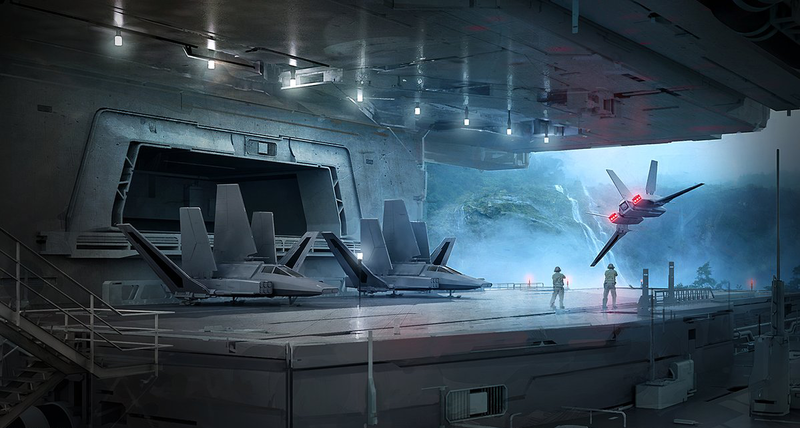 And it also will be more apparent that the Star Wing incorporates some technology used in Tie Fighters such as the solar panels on the hull. I will say that this is all I will be posting for now, since I'm working on a thesis I'm passing up for drafting soon and then working on the final version of. But that means in a month or two I should definitely have more time to work on this. If anyone from the dev team is looking at this, here is a link to my imgur gallery - where I post most pictures of my work. Personally I was always hoping to see something a little more like Starslayer's interpretation, but a completed Gunboat is a completed Gunboat regardless. Ghhnnnnnnnn Starslayers drawings always hit the spot. I was just wondering, what aspects of Starslayer's concept for the Star Wing differ from my model? Since my model is still in the early stages I can definitely incorporate some details from his interpretation. The top wing having that leading point for one, and the torpedo pod shape seem to be the biggest departures. Also, have you ever seen FractalSponge's version? It has a lot of detail. But as far as detailing goes, since it is a Cygnus ship, I'd take hints from the Lambda shuttle when it comes to greebles, to have more manufacturer continuity. If you need any ideas for the rear end of the ship, one thing that occurred to me is that the rears of the torpedo pods would probably have to open for loading, like submarine tubes, unless they are loaded like a muzzle loading musket from the front. But I think being able to style them with a hatch on the rear end would add some character. Oh yeah, I get what you mean with the leading point on the top. Definitely will include that. With the torpedo racks, I'm honestly a bit confused on them since they seem to be located in front of the engine pods, which to me seems like they're reloaded from the side or something, or from the front. I've definitely taken a look at FractalSponge's version and I'll be using that for some inspiration as well, especially for the back half of the main fuselage where it can take some hints from the Lambda a bit. I see what you mean, but there seems to be two schools of thought on that rear-end design of this ship, even both portrayed on its Wookiee page (see below). Personally, I favor the pods simply being torpedo pods and not dual purpose. I think it makes more sense, especially given the same design for the Lambda shuttle. Two things I just noticed on StarSlayer's drawing are that he seems to have placed some small 'intakes' on the sides of the main hull, and also, his cockpit area is partially detached from the rest of the hull, similar to the Lambda, but unlike most other XG-1 interpretations. We actually already have an almost complete Starwing/Assault Gunboat. It still needs some texture work, so if you're willing to lend a hand, I'd rather not recreate the wheel and start from scratch, but try to finish this one instead. Ah okay, yeah I can help out on the texturing for that. 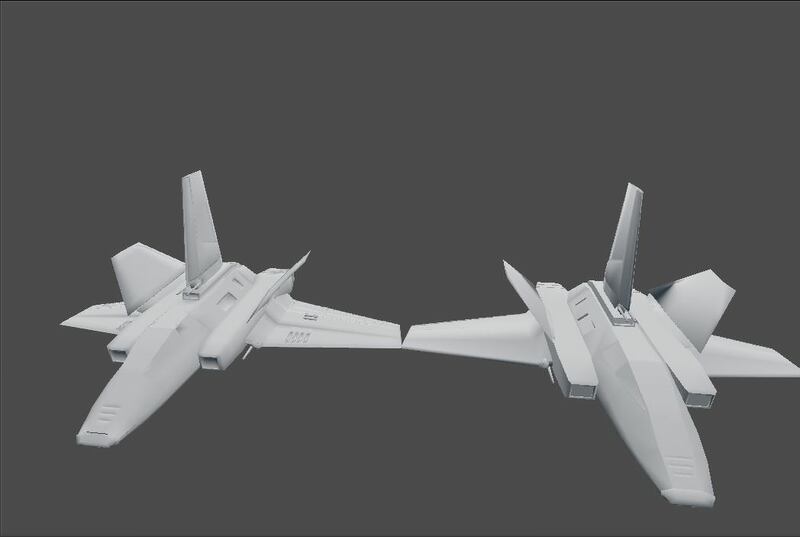 I've been looking into how to texture ships in particular for a while now, but never really gotten around to it.